I guess the stars were aligned in my favor yesterday. I could not have wished for a better day. My dreams are small and unusual, so the odds are slim of them coming to fruition…but yesterday had its miracle moments. Plants are my “stars” you see. I went back to one of my alma maters for an unplanned visit to their green houses and botanical gardens. I actually bumped into my first EVER botany professor from University of North Carolina at Charlotte. I got my master’s degree from there many years ago. As my sister and I perused the plants on sale, we struck up a conversation with a woman carrying a bag made of bark. Her name was Carla Vitez. She was there to give a talk about trees that included history and poetry. She invited us on a practice run of her tour. How could we refuse? 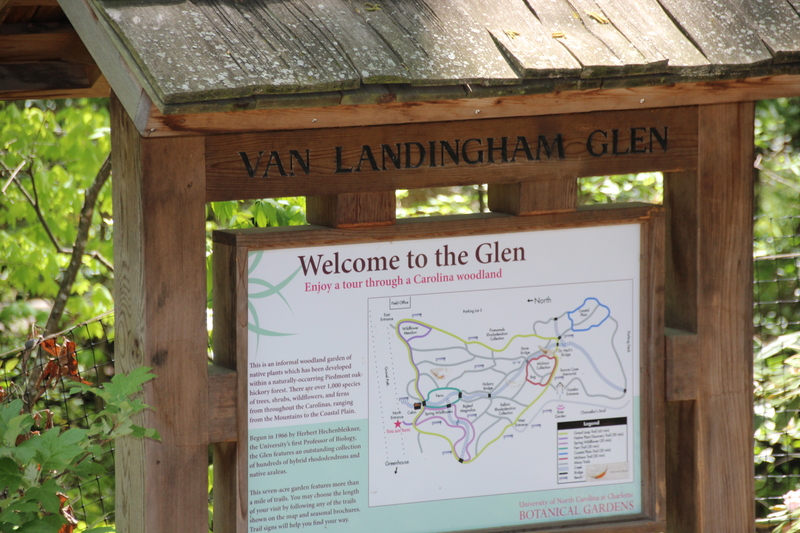 The talk and tour occurred in the Van Landingham Glen across the street from the greenhouses. 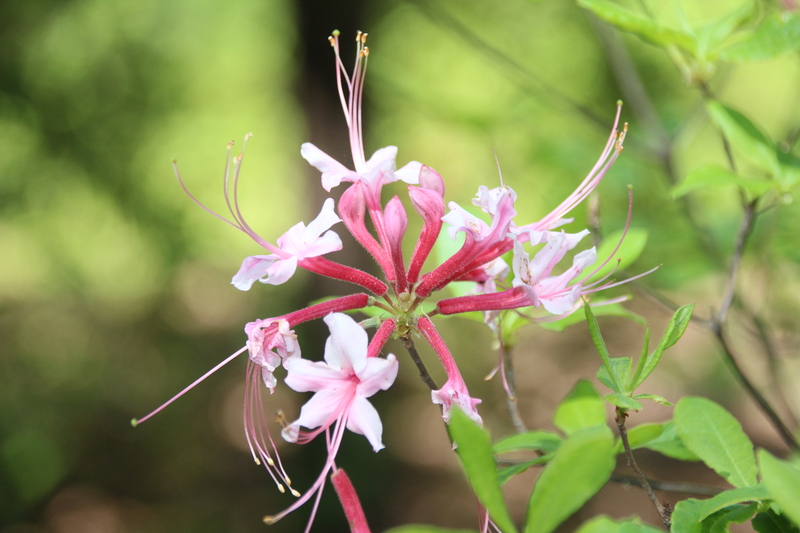 The glen is full of many species of trees and dozens of types of Rhododendron and azaleas which are in bloom now. 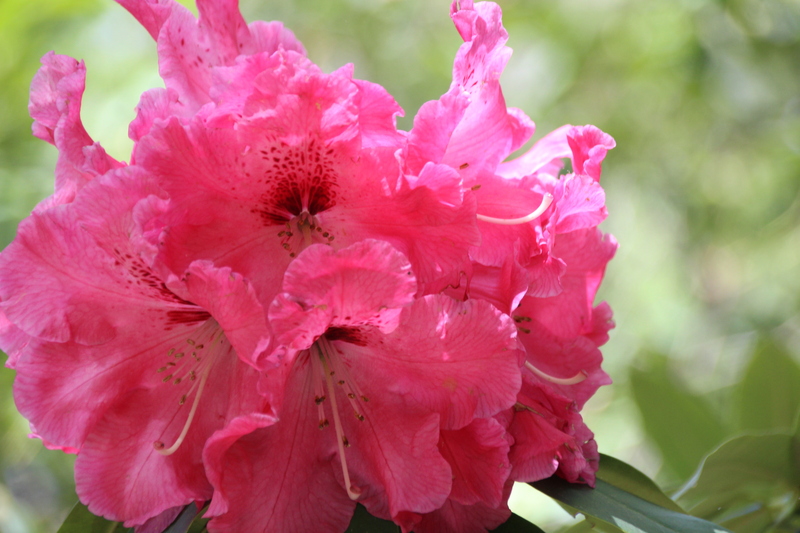 The sizes and colors of blooms were amazing. 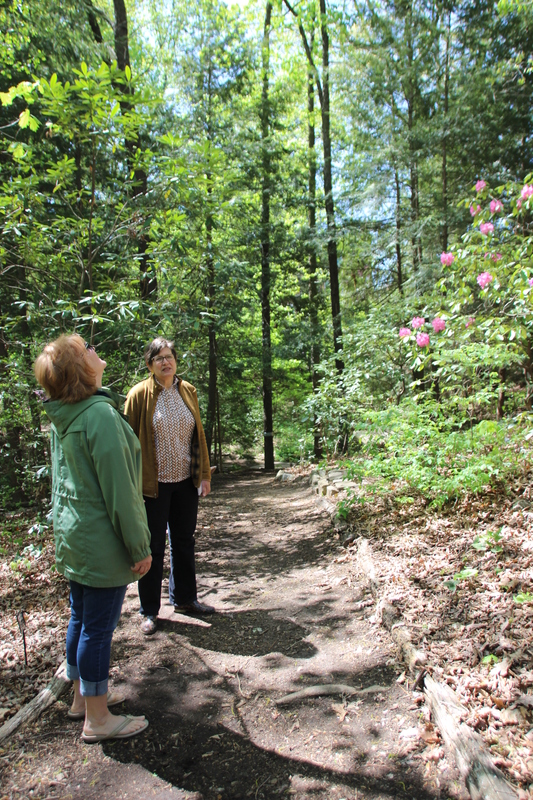 We got a condensed version of “In the Company of Trees.” We were spellbound. She eloquently quoted the words of Donald Culross Peattie as she stood by the featured trees. We heard the parts of her talk about the White Oak, Pawpaw, Bigleaf Magnolia and Shagbark Hickory. When she talked about the Beech trees and nuts and the, now extinct, Passenger Pigeons, I teared up. Carla Vitez will be giving the talk and tour again on Sunday at two o’clock. It may be full all ready. If you wish to hear it, you may need to call. Maybe they can add another tour in sometime soon. 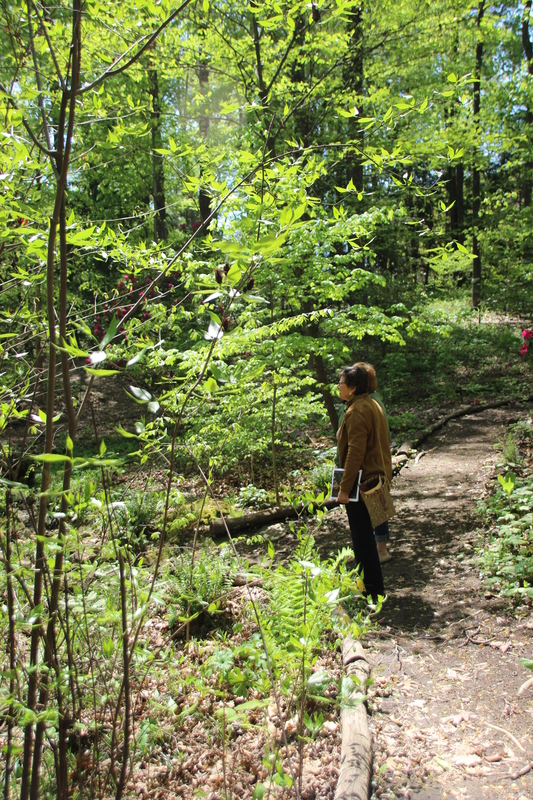 Carla perfectly mixed art and nature, present and past, to include her audience in a time travel through the trees. I will share two more little miracles on the tour. 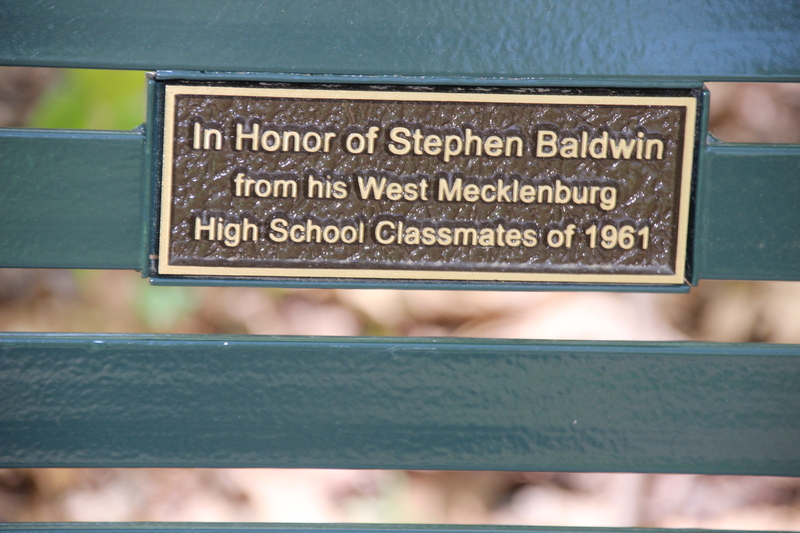 A bench honoring my wonderful friend “The Genius”, Steve Baldwin. 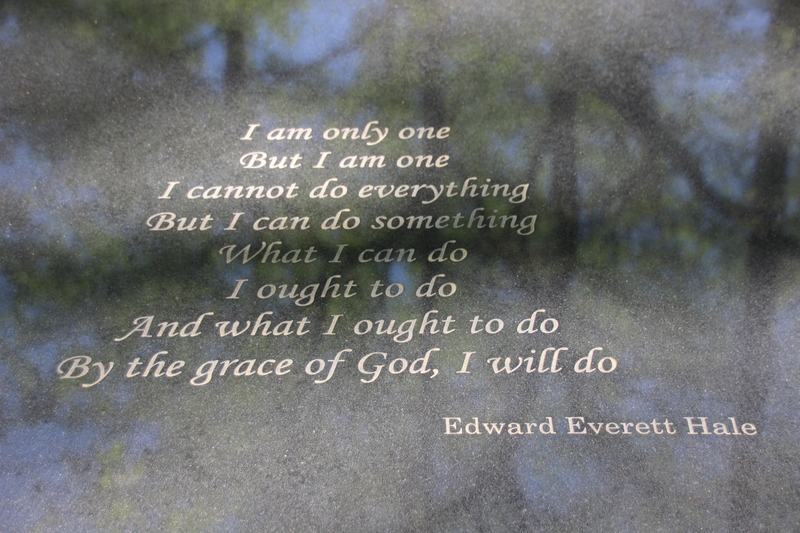 and a quote from the tomb of a much admired woman, Bonnie Cone, who started UNCC. Flower is always searching for her place you see. My people have been here and thus I belong here also. I will share photos from the greenhouses in another post. Some of my little stars in the yard need my attention today. That was another part of my perfect day yesterday. I acquired some more green little friends. Introductions must wait. They need to get settled. 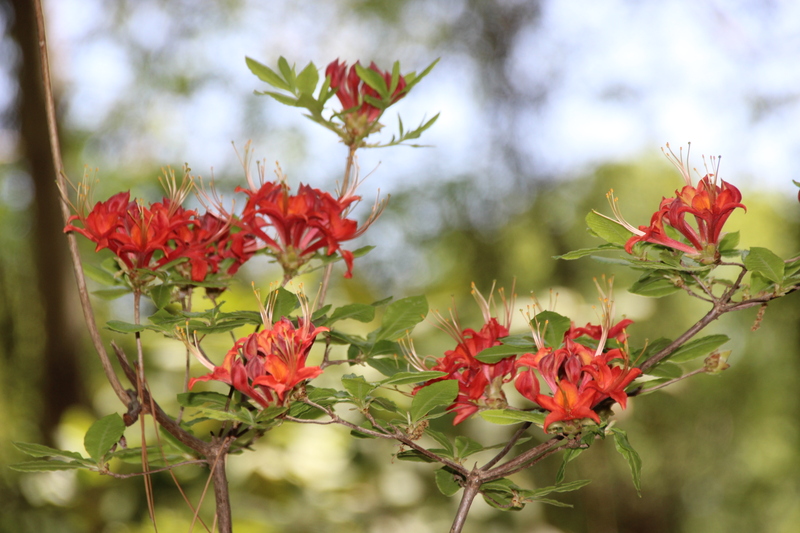 My husband and I both love the flame azaleas of the Blue Ridge Mountains. Their blooming is an amazing sight. They glow as if ablaze in the sun. We got the next best thing for our garden. 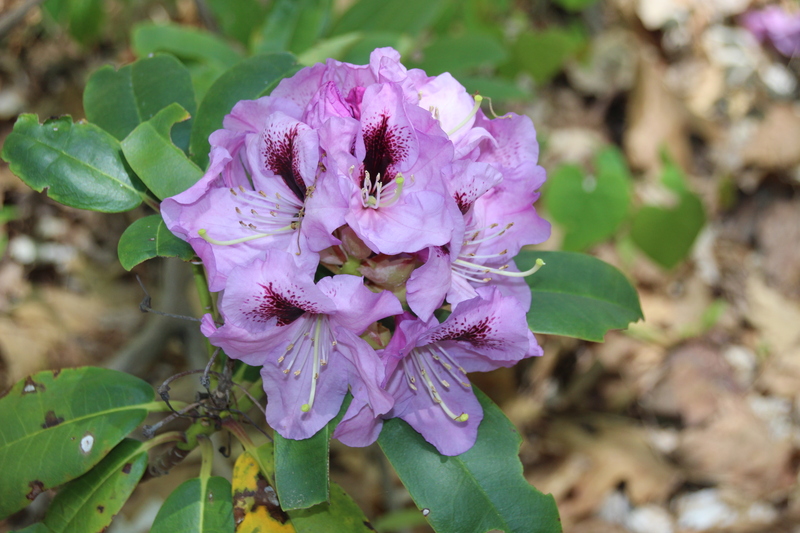 A Gibraltar azalea, really a rhododendron(translation rose tree). 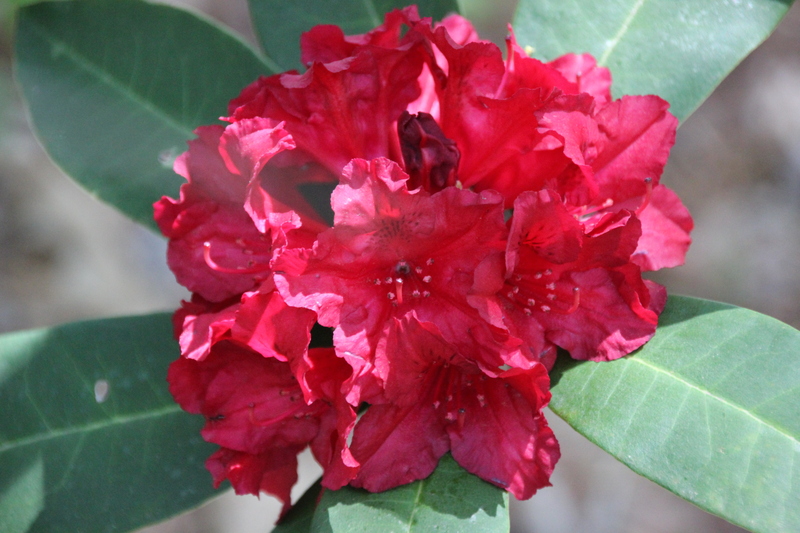 This is a deciduous hybrid that is hardy in Zone 7. The buds are a deep copper color. When the sun hits the blooms, they seem to catch fire. 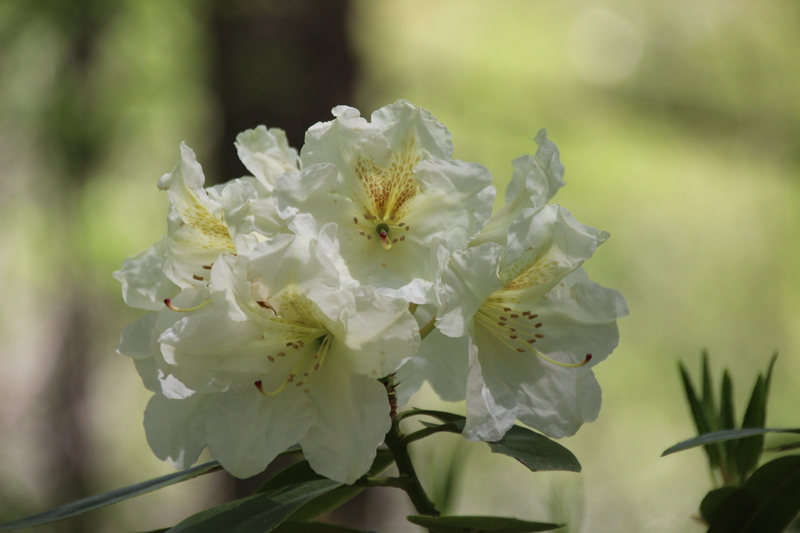 The bloom clusters are called trusses.